Harris County Early Vote Turnout—Too Close to Call! As of the close of early voting the turnout estimates in Harris County make the county wide races far too close to call. Due largely to a last ditch pull-out-all-the-stops efforts by the Democrats that we now know includes illegal electioneering (uncovered by the True the Vote group), countywide races, such as law enforcement and judges, may be in jeopardy. Just today I’ve heard of “revolving door” voting in Democratic areas, where voters were reportedly observed to have voted multiple times at the same location. One poll watcher reported that a voter didn’t have an ID or voter registration card so the election clerk slipped her one to use! Democrats cheat (which explains their ridiculous opposition to photo voter ID.) It is imperative, given the importance of this year’s “mother of all elections” that each and every one of you ensure that you personally vote on Tuesday if you have not done so already, and vote straight ticket Republican. Further, you should go the extra mile, literally if needed, to physically drive a like-minded conservative friend or family member to the poll. You will enjoy the experience, and you will ensure they actually vote. 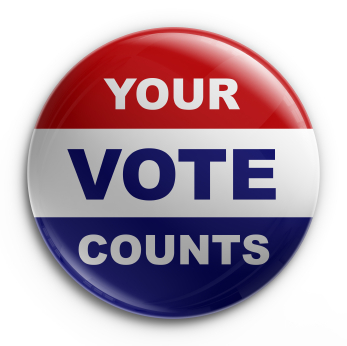 Especially for the county wide races, the importance of your doing so cannot be overestimated. We can’t simply win the elections; we must win by a margin greater than the democratic cheating. Second, even if you have never done so before, and especially if you are a small business owner, make it your personal priority to call in to local talk radio shows and encourage everyone listening to vote straight ticket Republican for the good of the Nation and our local government. Also remember that some non-partisan races (school boards, mud districts, etc.) must be voted separately at the bottom of the ballot. The election will hinge on turnout.